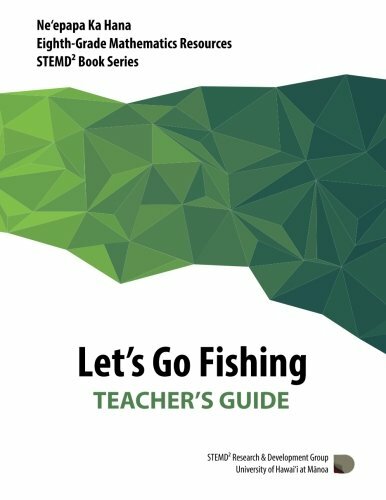 Let’s Go Fishing for eighth-grade mathematics is a fishing-themed textbook for teaching U.S. standardized mathematical concepts to students in Hawai’i and the Pacific. The activities in this book model the Smarter Balanced Assessment Consortium (SBAC) test questions for Grade 8. 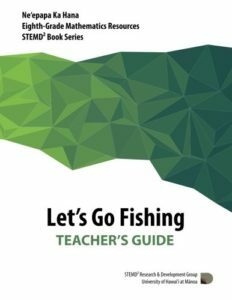 The STEMD2 Book Series for eighth-grade mathematics was developed as part of a technology- enabled pedagogical approach (Ne’epapa Ka Hana model) for teaching mathematics in Hawai’i middle schools. This book series seeks to provide Hawai’i middle school teachers resources and training to incorporate problem-based learning, social learning, and inclusive pedagogy through a culturally relevant mathematics curriculum.